Obviously, I’m all for videogames, but I don’t think they’ll ever replace wrestling. Coming down the ether, otherwise known as Kotaku, comes word that The Two Guys From Andromeda, aka Mark Crowe and Scott Murphy, are setting up shop to produce a new space-themed adventure game. They have a pretty good pedigree for this sort of thing, as they were the creators of the original Space Quest graphical adventure games for Sierra. The SQ games were truly hilarious, spiritual successors of the SF comedy Hitchhiker’s Guide to the Galaxy books by Douglas Adams, and lampooning a wide spectrum of popular culture. It’s especially surprising to see Murphy back in the game, so to speak, considering his little-hidden distaste for the industry that chewed him up and spit him out after the 6th and final Space Quest game, Roger Wilco in The Spinal Frontier, released in 1995. Details are sketchy at this point, but it does appear that things are pulling together, and the GuysFromAndromeda company is currently hiring talent. 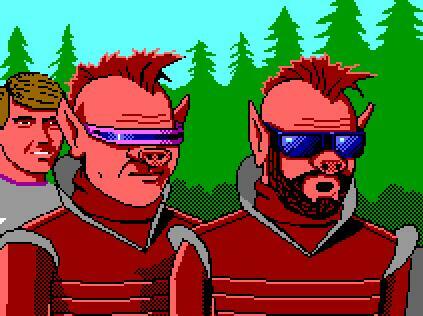 Whether or not the boys are putting together another Space Quest game or some other (ad)venture, one can be assured the laughter will be heard from one end of the galaxy to the other. For more information on Space Quest and other classic Sierra games, consult your local Dot Eaters article. 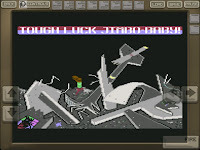 This entry was posted in computer, graphic adventure, Hitchhiker's, SF, Sierra, Space Quest on April 15, 2012 by William Hunter. 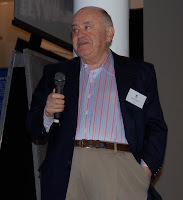 One of the leading figures of the early computer revolution, Jack Tramiel has passed away at the age of 83. Born Idek Tramielski in Lodz, Poland, in 1928, Tramiel would survive the horrors of the Nazi invasion and the Auschwitz concentration camp, eventually emigrating to the U.S. and repaying his liberators by joining the U.S. Army in 1948. While stationed at Fort Dix in New Jersey, Tramiel was put in charge of the office repair department, fixing typewriters. After leaving the Army in 1952, a $25,000 U.S. Army loan enabled him to open his own typewriter repair shop in the Bronx. 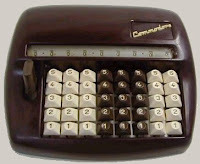 In order to draw some comparisons to large appliance firms with military names such as Admiral and General, Tramiel took the model name of a Opel brand of car he noticed while riding in a taxi one day, and the Commodore Portable Typewriter company was born. Moving to Canada to capture exclusivity rights in importing Olivetti typewriters, Tramiel set up shop in Toronto and embarked in some shady deals with Canadian financier C. Powell Morgan which almost landed him in jail. A trip to Japan persuaded Tramiel to enter the burgeoning electronic calculator field, riding to great success on the wave of microprocessor technology. Texas Instruments eventually figured out that it should be making its own devices instead of supplying Commodore with microchips, and undercut Tramiel’s prices with their own brand of calculators. Vowing to never be trapped by the whims of a supplier, he purchased chip maker MOS Technologies in 1976 and secured Commodore’s future as a manufacturer of cheaper electronic devices. 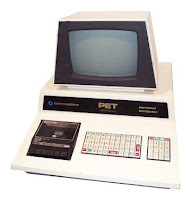 With the MOS acquisition, Tramiel also got the services of employee Chuck Peddle, a visionary design wizard who built the PET or Personal Electronic Transactor for Commodore, one of the first mass-produced personal computers that entered the market in 1977, along with the Apple II and the TRS-80 from Tandy. 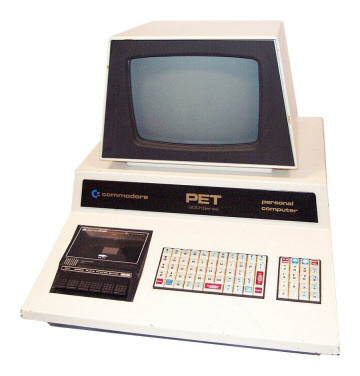 Leverageing the success of the PET, Tramiel pushed his team to create low-cost colour computers, resulting in perhaps his greatest legacy: the blockbusters VIC-20 and Commodore-64. The 64, in particular, was an enormous success, eventually becoming the greatest selling computer of all-time. It is incalculable how many games were sold on this platform, and how many game designers cut their teeth on the system. 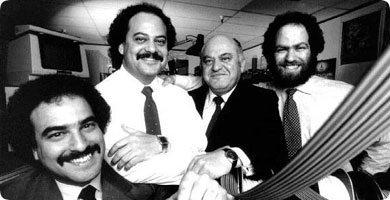 In early 1984, with Commodore at its apex, Tramiel’s clashes with company chairman Irving Gould resulted in his ousting from the company. Ten years later, Commodore itself would pass into oblivion, entering liquidation after a series of disastrous mistakes. A few months after his departure, Tramiel would buy Atari’s consumer division from Warner Brothers, desperate to unload the ashes of the once great gaming company, felled by the cratering video game industry. Tramiel trash-canned planned next-generation game consoles at Atari to focus instead on home computers, but was stymied by his former company’s purchase of Amiga, Inc. from under his nose, a company who’s Amiga computer line of revolutionary 16-bit computers would help keep Commodore afloat. Tramiel would fight back with the Atari ST line of 16-bit computers, which powered Atari Corporation through the rest of the decade and into the 90’s. In 1996, Tramiel would merge Atari with a hard drive manufacturer, resulting in the company JTS. Leaving behind his wife Helen, as well as their three sons Gary, Sam and Leonard, Jack Tramiel also leaves behind an industry that owes him a great debt for helping to popularize their landscape. 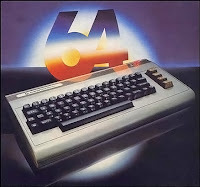 This entry was posted in 64, Atari, Commodore, computer, PET, ST, Tramiel on April 10, 2012 by William Hunter. 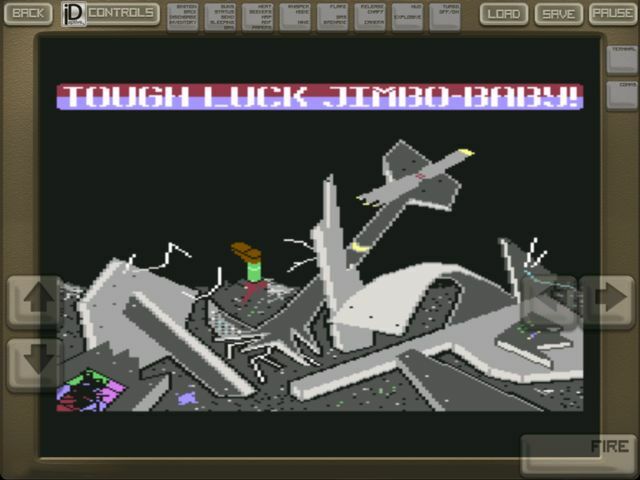 From Elite Systems Ltd., the guys who made the classic space exploration and trade game Elite in 1984, comes World of RETRO Computer GAMES, an iOS app featuring a collection of near-100% accurate replicas of classic computer games. And classic is the operative word here. In the free version of the app, Datasoft’s action platformer Bruce Lee (1984) is provided free of charge, with three packs of three games each available as in-app purchases for 99 cents a pop. Paying 99 cents up front for the app gets you all the game packs included, along with Bruce Lee. Any self-respecting computer gamer from the 80’s will remember Bruce Lee, running and jumping through multiple screens collecting lanterns in order to open up secret doors in order to progress, all the while chased by a stick-wielding ninja and the green Sumo menace Yamo. The game packs contain such gems as Freefall’s chess-by-way-of-Tolkien Archon (1983), Epyx’s one-on-one fighting game Barbarian a.k.a. Death Sword (1988), and the original The Bard’s Tale: Tales of the Unknown (1985) by EA. As almost always with these things when gaming on iOS devices, the app falters slightly with the control scheme, although this is mitigated somewhat through what Elite calls their iDaptive controls. What this amounts to are contextual buttons that pop up in-game and are completely customizable by the user. You can increase their size and position, adjust transparency to see behind them, and switch from keyboard directional keys to a simulated joystick. The stick is definitely a necessity for most of the games here, in particular for action games like Bruce Lee. The ability to move controls to a more comfortable position is key to keeping things from getting too frustrating, although the low-resolution response of the joystick takes some getting used to. Even with this stilted response, I’d have to say that the controls aren’t a dealbreaker with this one. 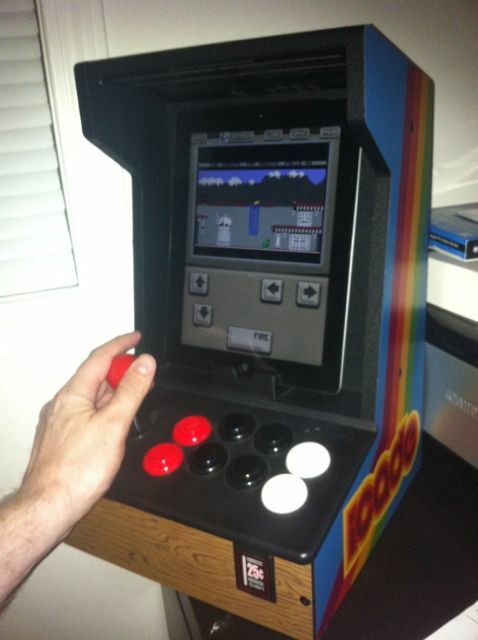 The ultimate workaround for the virtual joystick, of course, is to use ION’s iCade, a nifty mini-arcade cabinet that connects with your iPad via bluetooth and provides eight physical buttons and a solid joystick. 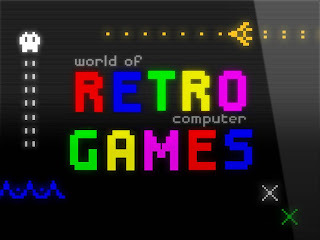 Retro Games supports the iCade, and using this feature makes all the difference in the world when it comes to controls in the game. There’s so much to love here. The games feel spot-on, and give one a visceral thrill to be able to play these classics on a modern mobile device. There are separate apps for both iPhone and iPad, but the latter is the best way to go, as buttons get crazily cramped on some of the games on the small screen. A much appreciated ability to save and load games at any time is another big plus. It’s promised that 100 more games will be made available through in-app purchase, touting such pleasures as Ozark Softscape’s seminal M.U.L.E. and Archon’s sequel, Archon II: Adept. With a lineup like that, Retro Games should have the mobile classic gaming scene in its pocket. This entry was posted in bruce lee, EA, Electronic Arts, iOS, iPad, iphone, mobile, retro games on April 7, 2012 by William Hunter.